The storm surge period of 13–16 November 1977 when there was a major positive surge followed by a negative surge in the Irish Sea is investigated using a two-dimensional unstructured mesh model of the west coast of Britain. The model accounts for tidal and external surge forcing across its open boundaries which are situated in the Celtic Sea and off the west coast of Scotland. Although this period has been examined previously using a uniform finite-difference model, and a finite element model, neither of these could resolve the Mersey estuary which is the focus of the present study. 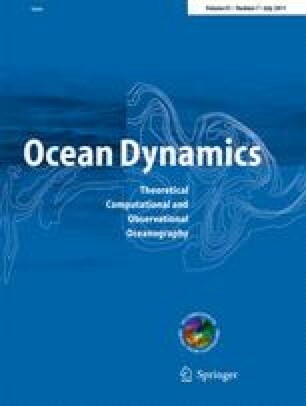 By using a finite element model with very high mesh resolution within the Mersey, the spatial variability of surge elevations and currents within the Mersey to rapidly changing surge dynamics can be examined. The mesh in the model varies from about 7 km in deep water, to the order of 100 m in the Mersey, with the largest mesh length reaching 17 km in deep offshore regions, and smallest of order 26 m occurring in shallow coastal regions of the Mersey estuary. The model accounts for wetting/drying which occurs in shallow water coastal areas. Calculations showed that during the positive surge period, the amplitude and speed of propagation of the surge was largest in the deep water channels. This gave rise to significant spatial variability of surge elevations and currents within the estuary. As wind stresses decreased over the Irish Sea, a negative surge occurred over Liverpool Bay and at the entrance to the Mersey. However, within the Mersey there was a local positive surge which continued to propagate down the estuary. This clearly showed that although the large scale response of the Irish Sea to changing wind fields occurred rapidly, the response in the Mersey was much slower. These calculations with a west coast variable mesh model that included a high-resolution representation of the Mersey revealed for the first time how elevations and currents within the Mersey responded to Irish Sea surges that rapidly changed from positive to negative. The origin of the TELEMAC system is EDF-LNHE and is therefore ©EDF-LNHE. Thanks are due to Andrew Lane for providing accurate Mersey bathymetry. The authors are indebted to R.A. Smith for help in preparing figures and L. Parry and E. Ashton for typing the text.